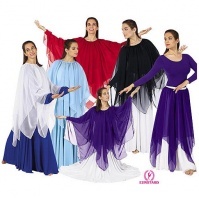 Chiffon single handkerchief skirt/top with an elastic opening. Wear as a skirt or collar overlay! 1. 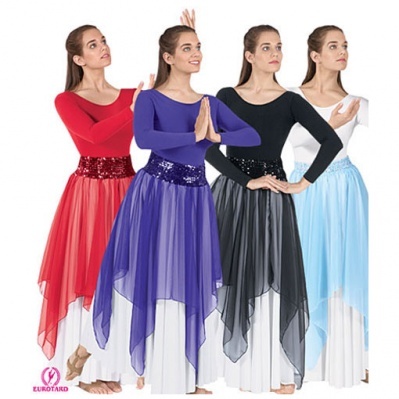 For this product is it just the overlay or does the white skirt also come included? This item is just the overlay and does not include the white skirt. 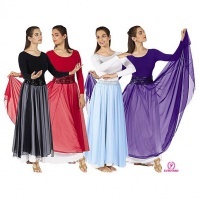 Eurotard Chiffon Double Handkerchief Skirt/Top $34.35Clearance Price!